The majority of high volume production vehicles over the past 20 years or so, have been designed using McPherson strut suspension for at least the front suspension and in many instances both front and rear. 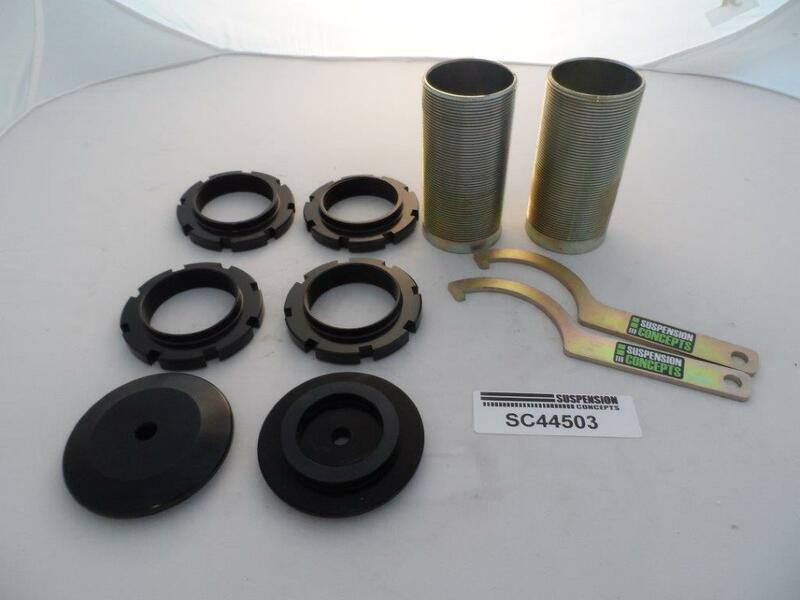 The rigours of highway and city driving, specific wheel alignment applications, accident damage, performance and motor sport applications necessitate camber and caster adjustment at the strut leg. 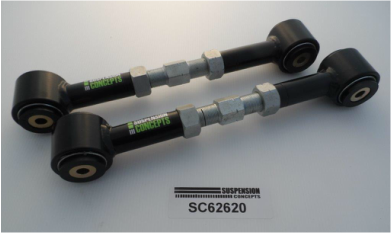 Suspension Concepts have designed and manufactured a product that will suit the majority of applications where camber and caster adjustment at the strut leg is required. 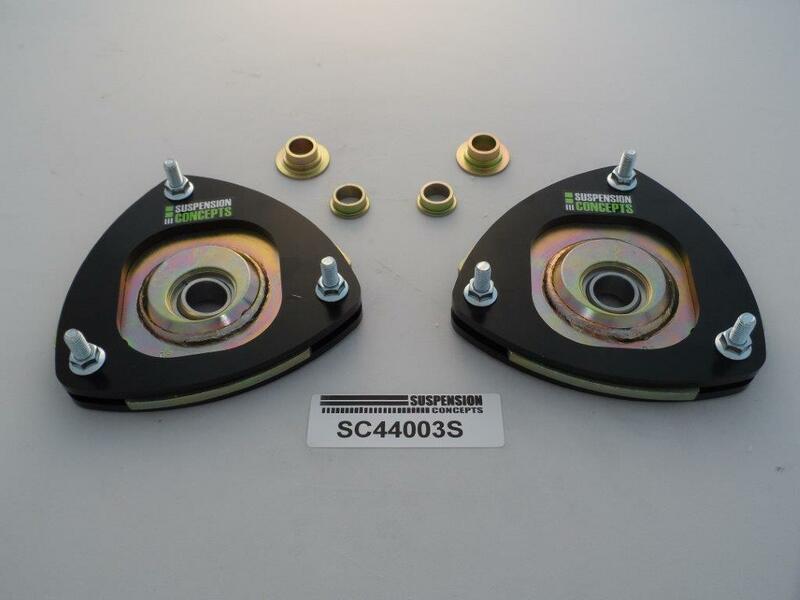 The majority of Suspension Concepts adjustable strut plates permit 20mm negative /10mm positive camber and 10mm positive/ 10mm negative caster adjustment. In some applications optimum adjustment will be restricted by the body panels in the strut tower – in motorsport applications it will be not uncommon to relieve the body panels in the strut tower, or install coil over springs and hardware to achieve necessary camber and caster readings to optimise handling and tyre performance. 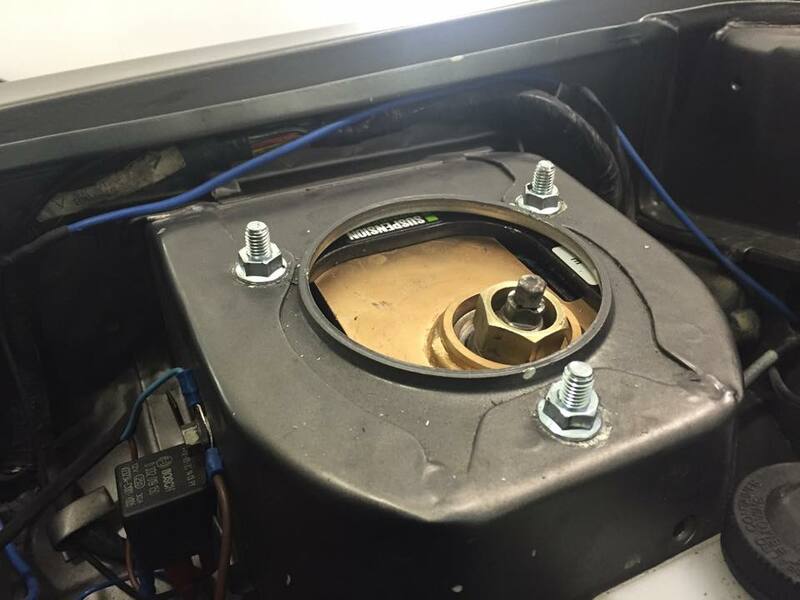 The Suspension Concept strut plates can be easily adjusted by simply loosening the nuts which attach them to the strut tower. Once these clamping nuts are loosened the centre slide plate can be relocated to any position in the adjustment window. 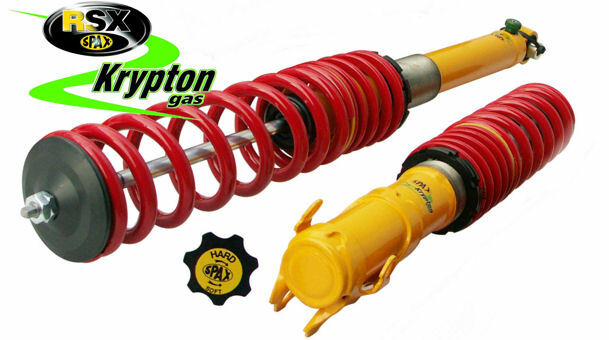 Cant find a coil over suspension system to suit your vehicle? Simply cant afford the prices put on these systems? Have a larger wheel/tyre option but cant get clearance? 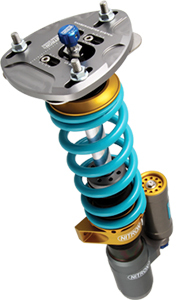 If you answered yes to any of the above than Suspension Concepts has the perfect product for you. Suspension Concept's coil over hardware comes in a range of sizes that covers 95% of the common strut diameters in the market. Complete with locking nuts and top spring seats, simply remove the old spring platform & weld in place the threaded tubes. Match this with a desired spring & shock combination and you are on your way to three inches (75mm) of vehicle height adjustment. Suspension Concepts can provide a customised suspension components service including adjustable or fixed control arms, radius and/ or panhards featuring high performance polyurethane bushings and heavy duty turn buckle adjustment (where required). Whether your chasing more camber, caster or pinion angle Suspension Concepts can tailor a solution to get you that extra performance. Contact Suspension Concepts with your requirements today!! Suspension Concepts is the authorised importer and distributor for SPAX springs, shock absorber and coilovers for the Australian & New Zealand markets. All SPAX adjustable parts are On-Car Adjustable. No Dismantling, No Wasted Time They are 100% Dyno Tested and Powder Coated so you get 100% Performance, 100% Quality. RSX Ride Height AND Stiffness Adjustable Suspension Kits for Ultimate Performance, Race Engineering and 100% Stainless Steel Technology. PSX Adjustable Stiffness Suspension Kits for Stunning Looks and On-Car Adjustable Handling. VSX Uprated and Lowered Suspension Kits for Stunning Looks and Handling to Match. SSX Top Quality Lowering Springs for Stunning Looks and a Sportier Ride. Contact Suspension Concepts for all you SPAX requirements! Designed in Oxfordshire using the latest 3D CAD techniques, Nitron race shocks are billet machined and hand built entirely in the UK. Each fully serviceable race shock is made bespoke to order with customised spring and damping configurations. Contact Suspension Concepts for all your NITRON requirements! Advanced designs, material technologies and extensive testing ensures minimal effects on ride quality and maximum effects on handling precision. Combine key selected Whiteline bushings with Whiteline sway bar alignment and bracing products for the ultimate street performance package!